PagineGialle, long a fixture in Italians’ homes. An Italiaonline's brand. Long a fixture in Italians’ homes, continuously available and reliable. 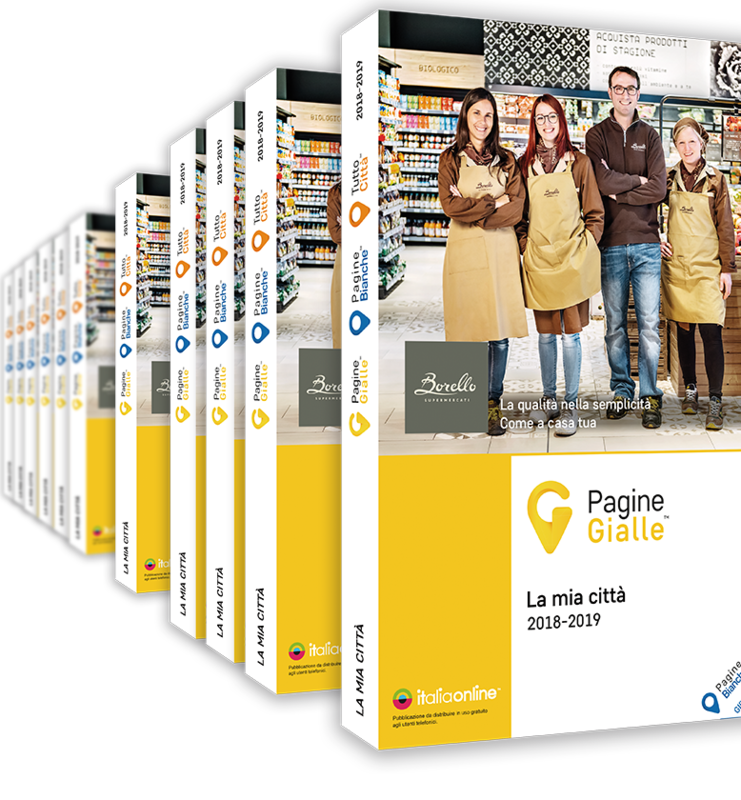 With over 3.8 million businesses, professionals, shops and stores, all categorised and organised by location, the directories of PagineGialle (the Italian Yellow Pages) have been the point where demand and business have met for over 50 years. Distributed free of charge and in a widespread manner each year in Italian homes and offices, it has always been the quintessential tool with which to find a product or a service and choose where to buy it. Thanks to the online version, apps and phone services, PagineGialle is an increasingly useful tool to find what you need at home, at work or on the move. PagineGialle.it provides information about shops, businesses and commercial activities. Searching is simple and intuitive: with a few clicks you have access to contacts, maps and virtual tours and can request free quotes from professionals all over Italy. User reviews provide a guide to find the right solution for every need. PagineGialle is also available as an app for convenient searching from smartphones and tablets. The app has been completely renewed in its structure, contents and services to respond to users’ need for speed and precision while on the go. And thanks to the search customisation options, the PagineGialle app is like a real personal assistant at the service of those using it, at any time. 89.24.24 Pronto PagineGialle is a customised telephone support service able to meet the most diverse needs, from a simple search for a phone number to advance ticket sales. This phone number is dedicated to those who travel for business or leisure and want to always have a trusted source to turn to in order to find the best answer to their questions, every time.